Praised by the New York Times for his “aptly traversed palette of emotions, from languid introspection to fevered intensity with gorgeous tone and an edge-of-seat intensity”, Israeli violinist Kobi Malkin is making his mark as an exciting soloist and a perceptive chamber musician. 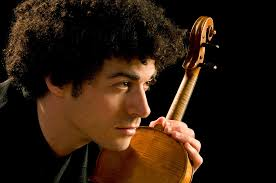 He is the winner of the prestigious Ilona Kornhauser Prize and the Canetti International Violin Competition, and appears regularly in such venues as New York’s Carnegie Hall and Lincoln Center, Boston’s Jordan Hall, Vienna Konzerthaus, Mexico City’s Palacio de Bellas Artes, and the Tel Aviv Museum of Art. An avid chamber musician, Kobi has collaborated with Frans Helmerson, Kim Kashkashian, Mitsuko Uchida, and Peter Wiley, among others. He has performed at numerous festivals, such as Ravinia, Music@Menlo, Yellow Barn, the Perlman Music Program, and the Marlboro Music Festival. 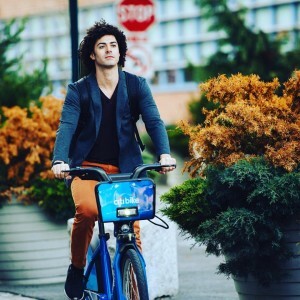 Kobi is an alumnus of Ensemble Connect, a program of Carnegie Hall and The Juilliard School, which trains the next generation of performers to be artists and teachers who hold a deep commitment to the communities in which they live and work. He holds a Master of Music degree from the Juilliard School, where he studied with Sylvia Rosenberg and Donald Weilerstein, and a Bachelor of Music degree from the New England Conservatory, where he worked under the guidance of Miriam Fried. Kobi plays on a 1701 Pietro Guarneri violin, generously on loan to him by Yehuda Zisapel.